First Industrial will break ground this month on phase one of the park involving two rear-load facilities of 219,808 and 125,267 square feet, respectively. A rendering of the First Park 121 industrial project in Lewisville, TX. 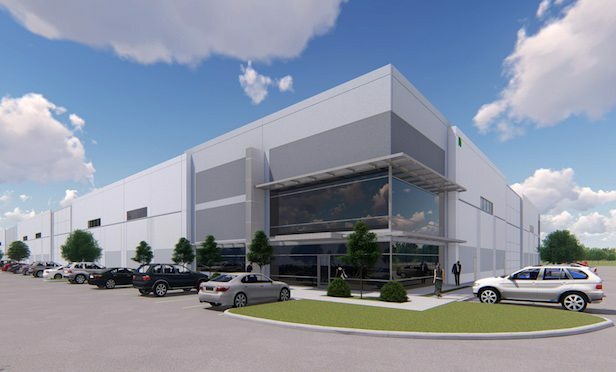 LEWISVILLE, TX—Chicago-based First Industrial Realty Trust has launched the first phase of its First Park 121 project consisting of two buildings totaling more than 345,000 square feet of industrial space.